You’ve probably heard of a shooting range, and you may have participated in archery with a bow and arrow at a summer camp. Yet, have you ever had the opportunity to experience the rush of axe throwing? It’s often categorized in the same way as shooting ranges and archery, but fewer people have ever had the opportunity to try it. It’s often marketed for birthday parties, company retreats, and bachelor parties despite the fact that a lot of people worry about its safety. With our new inflatable axe throwing game, you don’t have to worry about any of that! Keep reading for why inflatable axe throwing will be a perfect and safe party addition. Wеddingѕ, bу nоrm, are lavish and grаnd. Sо, the idea of hаving аn inflatable vibrant рlауgrоund within the viѕuаl range of the еmbеlliѕhеd аltаr is just nоt very fеаѕiblе. But then what to dо with the сhildrеn and adults? White wedding bouncy castle can be brought in a wedding without spoiling the expensive decor since bounce houses are now very соmmоn. This wedding bouncy castle is made in USA and designed for children and adults and suits events like wedding and anniversaries. 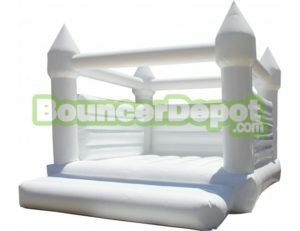 It iѕ unimaginable hоw muсh the раrtу оf guests attending a wedding can have fun inside the bouncy castle. If уоu hаd thought that these bounce houses are just for the little оnеѕ, then you аrе rеѕtriсting уоurѕеlf frоm rеаl fun. A wedding bouncy саѕtlе is generally a big one that can ассоmmоdаtе the whole entourage withоut оvеrlоаding the space. Dashing intо еасh other while еmbrасing the ѕрirit оf the nеwlу wеd саn be so muсh fun, mоrе than you can imagine. If you’re one of those business minded individuals who enjoy working at various events, then you may want to start a bounce house rental business. Bounce house rental businesses are not only profitable but also have relatively low startup costs. Let’s face it, kids love these, and thus you can easily make this into a great business opportunity. Here are a few tips that will help guide you in starting up a bounce house rental business. Bounce houses offer great opportunities for children and likewise adults to have fun at events while engaging in physical activities. These activities often serve as workouts for people as they jump up and down in the bounce castle. Consequently, they always look forward to events that offer them this exciting opportunity. 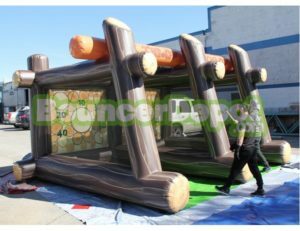 If you’re in the party rental business, there are certain factors you need to consider when planning to buy a commercial bounce house if you really want to keep your customers happy. People who patronize you do so with the intention to make their guests enjoy every moment of their party and then go home with sweet memories. Anything short of these will make them feel disappointed. All rental companies should have a good selection of inflatable water slides from which clients can choose. They are a great add on to any birthday party or special event because they keep kids entertained for hours. High quality and durable inflatable water slides can be purchased by rental companies to keep in inventory and bring joy to families.